The place is very clean and tidy surrounding. It is very calm and relax, suitable for work which needs focus and away from noisy town. The owner is very helpful, and communicating in English reasonably good. 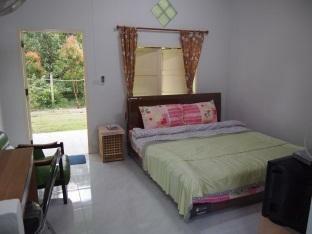 The room is a bit small, but have all the needs, eg aircond, cable tv, fridge. The toilet is clean, as it is not 5 stars hotel. They have good shed if you bring car. Happy staying here. Alles gut. Sauberes Zimmer. Immer wieder.